There is often much discussion on here and around the area in general about the state of the High Street. For clarity I am referring here to the main shopping area streets - i.e. Central Road, Windsor Road, London Road over in North Cheam etc. Few of us (if any) want to see our shopping areas taken over by multinational outlets pushing out the very local independent shops which make our area unique. Multinationals do have inbuilt advantages in that they can run national advertising campaigns, draw on the many experiences of numerous employees across many shops - putting tried and tested systems in place, buy in bulk to keep product prices down and provide customers with a 'safe' shopping experience - in that they'll know exactly what the experience will be like before they even walk in the door. For these reasons I'm sure all of us have chosen Costa over Checkers and Waitrose instead of Ross's and Woodward Bros in the past (I'm just as guilty), or worse still, driven over to Kingston before even considering if Preview Menswear, Worcester Spark or the Toy Shed might have what we are looking for. Our independent shops have other advantages though. They are unique and personal for a start. They are are part of the community and help shape the community. And they each give us something we can't quite get anywhere else at all. An addition, independent shopkeepers have often poured life savings into their business. They have chosen to work extraordinarily long hours, day after day for many years and no one pays them to do it. Their only financial reward is what is leftover from the takings in the till after everything else has been paid for. They never really know how much that is going to be from day to day. Some do well out of it, others struggle. But they each chose to take that risk and give it a go and we are the ones who benefit by having those choices available to us. And I applaud them for it. 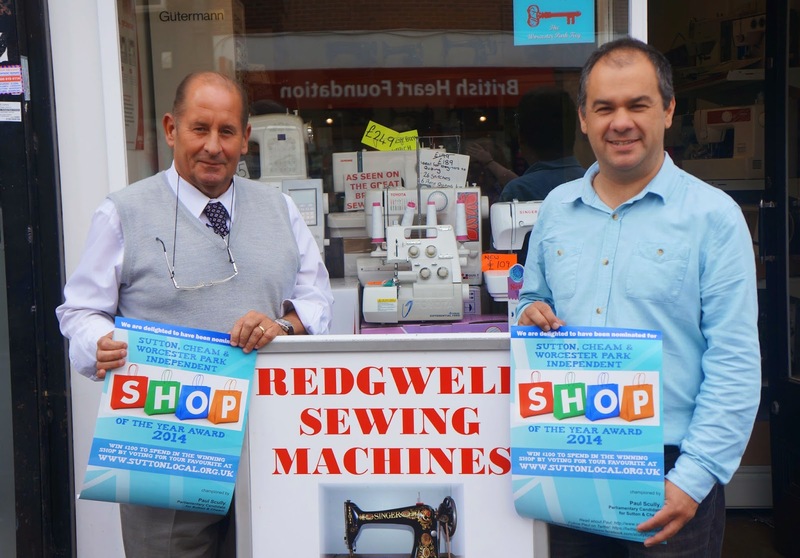 It is therefore appropriate that these businesses be occasionally recognised and I am glad once again to be able to draw your attention to the Independent Shop Of The Year competition in Sutton, Cheam and Worcester Park. Parliamentary candidate, Paul Scully (on the Conservative side - same as me...) has put his money where his mouth is and has launched the competition in which local residents can vote online for their favourite independent retailer at www.suttonlocal.org.uk. Everyone who takes part then goes into the draw to win £100 to spend in the winning shop. 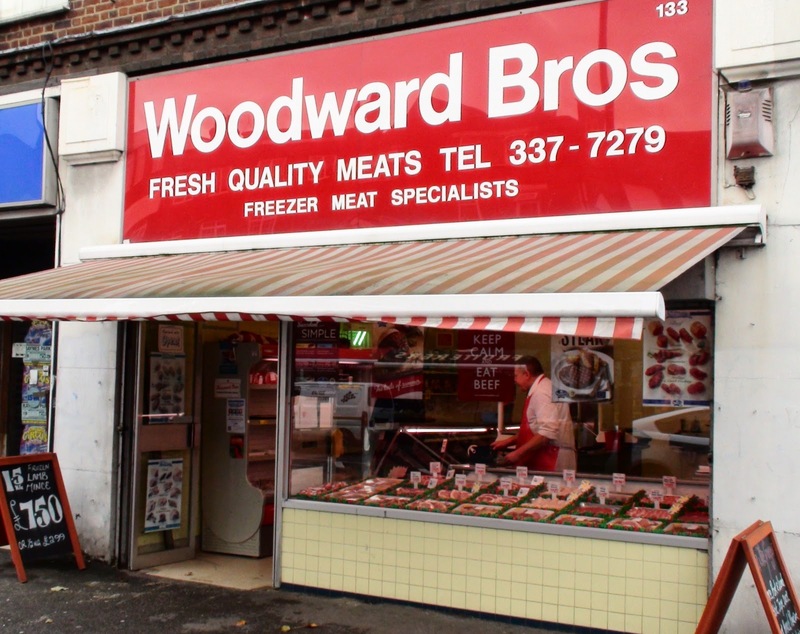 Last year the competition was won by Precision Chiropractic in Cheam (followed closely by our own Woodward Bros butcher shop in second place). Kate Irwin of Precision Chiropractic said, "it’s a fun competition, supporting local businesses". "I am a small business owner committed to supporting local retailers who create jobs for local people, protect the character of our high streets, and help to build a healthy local economy. I encourage everyone to take a moment to express their gratitude for the hard work of the staff at their favourite local shop, by voting online at www.suttonlocal.org.uk". Voting is open until 16th October and this year’s winner will be announced on 23rd October. By taking part in the competition, customers have the opportunity to say thank you to a local retailer that they feel has provided an outstanding service to them and their families.